GenePeace DNA | The answers are inside you. The answers are inside you. 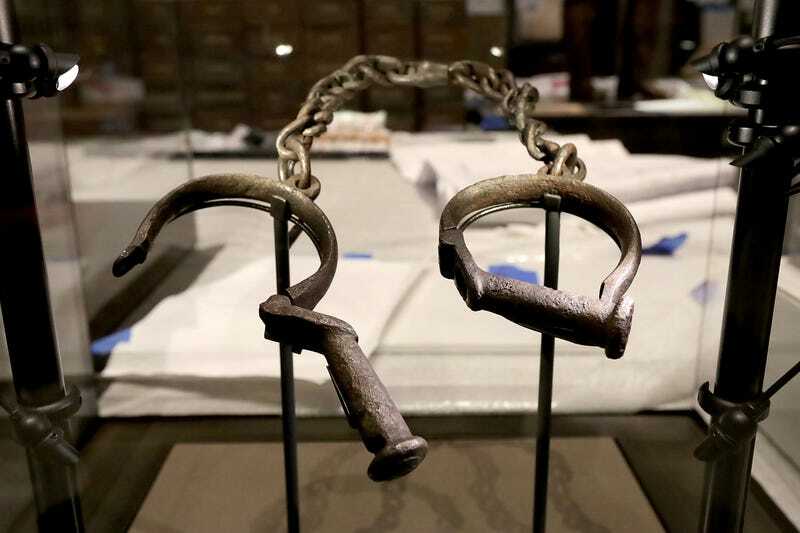 Michigan State University will receive nearly $1.5 million to create a new online database that will allow folks to navigate the records of millions of enslaved people and their descendants, a boon for historians and African Americans who are interested in knowing more about their ancestry. As a genetic genealogist, I could not be more thrilled to see this initiative by Michigan State University to consolidate and index slave records! As a searcher, I have run across records of slaves that may not be accessible to their descendants and have struggled with how to make those records more searchable and findable. I have resorted to tagging these records in the online genealogical database and creating searchable family trees with titles like “7 People held in slavery by William Bone 1744-1828 Iradell County NC.” Making sure there names/locations are searchable and also that their slave owner is identifiable because many former slaves retained their former owner’s names after emancipation. I have also identified two slaves owned by the one line of my family that was in the South during the civil war. As a solid yankee with the vast majority of my ancestry in the Northeast and Midwest, learning that anyone in my family owned slaves was a punch in the gut. I am trying to make sure they can be recognized as a legacy of our family. Those slaves are conveniently not mentioned in any of other family trees I have found, despite copious civil war documentation. I don’t yet know how long they were owned by my family or if they were parented by my ancestors, but I want their descendants to be able to find them (and find me/my DNA if they want to explore genetic connections). I have thought a lot about genetic genealogy as a small act of reparation for those who suffered the loss of their families, names and cultures, whether it was through slavery, war or adoption. Even now, African American adoptees or those of unknown parentage still hit the stumbling block of slavery in trying to identify their recent ancestry. Genetic genealogists usually need to be able to trace backward prior to the 1860s to be able to identify current living ancestral lines that would lead to an unknown parent. The legacy of slavery is still keeping African American families apart. This database initiative is a huge step in the right direction. See link below for more information. We can never predict how a search or reunion will turn out. Susan Ito, a writer and adoptee advocate, wrote a beautiful story for Hyphen Magazine about the outcome of her GenePeaceDNA search for her birth father, which solved her 37-year-old mystery. Thank you Susan for sharing your story! I am going to walk through the steps of her search to illustrate how DNA can solve even some of the toughest mysteries. Holle’s shared 569 cm with her closest non-maternal match. As you can see from the ISOGG prediction charts, that means her match was likely one of the following relationships to Holle: First cousins once removed, half- first cousins, great-great-grandparent/great-great-grandchild, great-great-aunt/uncle, half great-aunt/uncle. We also were able to acertain that this match was on the paternal line of the match, due to which DNA relatives they had in common. We set about testing the descendants of the father’s siblings and half-siblings. Holle was a close match, but not close enough to be the child of any of those brothers or half-brothers. Then we tested the only child of the brother who seemed like the most likely candidate (Likely Candidate). We were very surprised when that test came back unrelated to any of the other relatives on Holle’s paternal side. This news was so unexpected, we decided to test this person’s mother too, just in case they had been switched at birth. While this was pretty unlikely, I wanted to be 100% certain we knew what had happened (genetically speaking) before I broke news that their parentage was not what they thought. When the person we tested matched their mother but not their father’s family members, I knew this meant either Likely Candidate was not biologically related to the person we tested or their father was not biologically related to any of his siblings or half-siblings. In genetic genealogy, we call this a NPE (non-paternity event) or my preference MAP (misattributed parentage). I used NPE in the photos, so we are going to stick with that for this post though, ok? Grandma Pat was her own tricky DNA mess. She had some DNA ties to descendants of a religious community known as the Brethren. The Brethren were a religious community that intermarried a lot AND had a lot of children. We would regularly find families with 12 or more children whose children would also have 12 children and so on and so on. Those family trees were tangled knots of intermarriage. We call this kind of repeated intermixed DNA endogamy. The Brethren endogamy is not nearly as complicated as some groups, like Ashkenazi Jews, but it still made it nearly impossible to find our link between the Brethren ancestors we had identified using X and autosomal matches and Holle. We had a database of over 30,000 Brethren who were related to Holle’s ancestors on paper. Talk about a needle in a haystack! Because Grandma Pat’s mother’s line (which we suspected was because of X patterns of inheritence, though it could have been her father’s mother’s line) was so complicated, we shifted to trying to identify Grandma Pat’s father’s line. We were eventually successful in identifying Grandma Pat’s grandparents, but wouldn’t you know it? None of their children’s children fit what we knew and suspected about Grandma Pat. After checking and rechecking, eventually I concluded that this was the correct family but Grandma Pat was also likely an NPE. We knew she was likely the daughter of one of several sons in that family. If you are following along here at home, so far we are at three NPEs. We kept plugging away, trying to find an angle where we could find Holle’s birth father. Eventually, Holle got another close DNA match of 855 cm. At that match level, the options for relatioships were: first cousins, great-grandparent/great-grandchild, great-uncle or aunt/great-nephew or niece, half-uncle or aunt/half-nephew or niece. We crossed our fingers and reached out to this match. Fortunately she shared her parents’ information with us so we could try to locate Holle’s connection. Unfortunately, her parents did not match any of the people we expected to see, based on all the research we had completed thus far. Based on her age and the matches she and Holle had in common, we concluded she must be Holle’s half-niece. This meant the man she knew to be her father was not biologically related to her. Her unknown father was likely Holle’s half-brother on Holle’s birth father’s side. Just a quick aside, telling someone that their ancestry and/or parentage is not what they have always believed it to be is never easy. In Holle’s search, we had to break this news to several different people. Sharing this kind of information has to be done with both concrete facts (solid DNA evidence) and sensitivity. People who learn surprising information about themselves can understandably have a hard time believing that information when it is coming from a stranger and/or if it is based on DNA evidence that they do not understand. We were fortunate that each of Holle’s relatives continued to be open to contact with us and were as helpful as possible, despite having some very shocking information to process themselves. Because Holle’s half-niece’s mother was unable to help us identify her father, we turned again to DNA. We knew we would not be able to find him using his father’s ancestral lines (because these are also Holle’s birth father’s lines), so I worked on identifying which of Holle’s Niece’s DNA matches were on her biological father’s mother’s line (the niece’s paternal grandmother — I know, this is very confusing!) This line was not related to Holle at all, but would be her half-brother’s mother’s lines. We were hoping that mother would know who her son’s father was. If you are getting lost, the line we need on this diagram is the Birth Father’s Son’s MOTHER (who has a Green Circle and is title Unknown Niece’s GRA). Finally, finally, we had a huge stroke of luck. Holle’s half-brother’s mother’s ancestry was incredibly easy to work with. We also quickly discovered she was from the same rural area as many of Holle’s DNA relatives and the ancestors we had already identified. With just a little bit of elbow grease, we figured out who Holle’s half-brother’s mother was. With that information we were able to determine the identity of Holle’s birth father (Woohoo!! After 2.5 years! ), as well as Holle’s half-brother. We reached out to contact Holle’s half-brother’s mother. In short order, Holle’s half-brother agreed to take a DNA test. Just as we expected, he was a half-sibling level DNA match for Holle, sharing 1959 cm of DNA. His DNA test also confirmed he was the parent of Holle’s half-niece. Once we had identified Holle’s birth father (and several other half-siblings), we were able to confirm that he knew his paperwork father was not his biological father. We found documentation that Grandma Pat also did not have any documentated father either. We were able to share the information about those unknown lines with the birth father’s relatives. I hope you were able to follow this very complicated story. It really does show the miracle of DNA. Holle’s search solved not only her own parentage, but also revealed the answers to three other’s unknown parentage: her half-neice, her birth father and her paternal grandmother’s fathers were all identified using Holle and her relatives DNA! My apologies for not posting the follow-up to Holle’s story yet. We have had a month with an injury, surgery recovery, selling a house and a whole slate of new activities as my oldest child started high school. To say it has been a whirlwind would be putting it mildly! I promise to write up more of the details of Holle’s story, but in the meantime, here is a great story about adult Chinese domestic adoptees searching for their first families in China. I am working on a pilot project for Chinese adoptees who have close(ish) DNA matches to see if we can pioneer a way to use commercial DNA testing to help them search using DNA relatives. This update by Holle will be followed by a step by step explanation of her search in part 2. It was a humdinger! I finally received DNA confirmation that my search for my birth father has finally ended! I’ve been looking for his identity since 2011 and it’s been very hard. My birthfather has already passed away, but I’ve learned that I have 3 more half brothers. I met one of them last weekend. I want to share a little about my search, because it could help someone else. Not all searches go by the book and mine certainly didn’t. When I found my birth mother in 2011, and she wasn’t forthcoming about my birth father, I started searching immediately. I DNA tested at all three companies and I had a 1st cousin once removed match immediately at 23 and me. I scoured her family trying to figure out who my father could be and got nowhere! I struggled for several years on my own and finally posted to the Search Squad page to see if I could get help. Fate was smiling on me that day, because search angel Amber Decker started working with me!!! We worked for 2 ½ years on tree after tree of matches. Through building trees and her innate sense for knowing where and what to do, we uncovered that not only was my birth father an NPE (Non-Paternal Event–meaning actual parent does not match paper trail or was unknown), his mother was as well!!! When people don’t have the last name they are supposed to, it really puts a hitch in things! We managed to identify both my likely NPE paternal grandfather and my paternal grandmother’s NPE father, but continued to struggle to find my birth father because the only documented line we could work with was my paternal grandmother’s maternal line. As if multiple NPEs were not enough of a challenge, that line descends from the Brethren community in Southern Illinois. The Brethren families all tend to have over 10 children and Brethren families intermarried generation after generation, so it made for some extreme frustration. Luckily, we had the trees made and the infrastructure in place, so that when closer matches finally started popping up (thank you Ancestry for those sales!!! ), we were able to get closer and closer. I finally had a match that broke the whole thing open wide….again, she was an NPE and she had no idea that the man she knew to be her father was not biologically related to her! Once we got her permission to work on identifying that paternal line, we were finally able to identify one of my half brothers through his mother and he actually knew our father’s name, though he had been adopted by his step father and also had a different surname! When we tested him, we finally got confirmation that all our research was correct and we had identified my birth father. My birth father was a bit of a rolling stone and a rascal so he had three other (known!) children, none of whom he parented. He passed away a few years ago, but I have been able to learn more about him from people who knew him. Because Amber and I had solved so many mysteries in this family using DNA, we have not only found my birth father, we have identified a total of FOUR generations of NPEs in my family tree. I admit, I thought it was hopeless many times, but Amber kept working with me and against all odds, we solved not only my mystery, but generations of unknowns for my birth family. I had the pleasure of being invited to present The Answers are Inside You: DNA Testing for Adoptees at Pact Camp East last week. In my regular life, people find genetic genealogy pretty boring. Not so at a camp full of adoptees and adoptive parents! I have never felt so much love and interest for the work I do! I was talking about birth searching and genetic genealogy morning, noon and night. Pact Camp East was such a wonderful opportunity to help educate adoptees and adoptive parents about new opportunities available to them through DNA testing. I presented with my dear friend Susan Ito, who shared the story of how we used DNA to break through a 37-year brick wall to identify her birth parent (watch for her story here in the future!). I feel so fortunate I had the opportunity to attend Pact Camp an transracial adoptive parent. I am always looking to learn from adoptees, first parents and experts to further my adoption education, because I want to be a better parent to my daughter. I attended sessions by some amazing adoption experts including April Dinwoodie, Amanda Baden and Holly van Gulden. I also got to meet Beth Hall, Pact co-founder and author of Inside Transracial Adoption, a book which I wore out in my early years as an adoptive parent. The programming included amazing performances and keynote speakers too. Between sessions, I had the chance to talk with several adult adoptees who have taken DNA tests. I found they had tried to look at their results, but found them confusing. They shared the common problem of not knowing if their DNA relative matches were “good” matches or not. In the future, I will write more about how searchers use matches to identify biological family lines, but generally speaking I can say I get pretty excited when I see an estimated second cousin match. While every search is different, a second cousin match tends to have a good chance of being traceable. I have personally had several adoptees say “I don’t have any good matches, only a bunch of second cousins,” so they didn’t bother to investigate DNA relationships. Of course, most adoptees would all hope to find a parent or sibling match, but third (and even fourth!) cousins can lead to a search success in the right circumstances. Even in international adoptions, not-so-close matches can provide clues or connection to biological relatives for adoptees who have very little information about their background to work with. Every clue matters! Both of my parents are deceased, but I grew up knowing that my dad was adopted, it was never a secret in the family. However, he knew little of his birth family, with the exception of the town his birth mother was from. We are from Missouri, where original birth certificates are not available without court order. I got engaged to be married a year ago and my husband’s family origins are also fuzzy with his mom being adopted and father unknown. I had DNA testing done on both of us to make sure we were not closely related. We passed that test. However, in the process I found that I had an unknown cousin who had also tested on Ancestry. I had my mom’s only surviving sibling tested as well so that I could eliminate matches from my mother’s side. This cousin was definitely a cousin through my father. With the help of some amazing friends I met along the way, we found contact information for this cousin. Amber Decker (from GenePeace), Holle Mason Wood, and Cindy McBreen Wellman are women who I could never repay for the gift they have given me in helping me with this search. On Labor Day of last year she and I Skyped for the first time. She confirmed that there was a baby boy given up for adoption at the time my dad was born in her family. She is actually my dad’s first cousin (and incidentally has the same career as myself). There were many tears when we started sharing photos as the resemblances were uncanny. She began notifying the rest of the family who were informing those who did not know of my dad’s existence. It is a very large family! I gained over 20 first cousins (I previously only had 5 total with both sides of my family). In October of last year I made the journey to where most of the family still lives and met aunts, cousins, and the man who married my dad’s mother long after he was given up for adoption (not his father). I also spent Thanksgiving with them to meet more people! This June, I got married. My dad’s birth family showed up en force! They spent the entire week prior helping us prepare to make my dream of a country wedding in my barn come true! My step-grandfather, at 82 yrs of age, hand made a quilt for us as a wedding gift that included meaningful images stitched into the fabric. My first cousin who is the son of my dad’s only brother officiated the wedding for me. When i began this journey and investigation I truly only wanted medical history. What I got was beyond my wildest dreams, I got the large family I had always wanted. Girl cousins! Aunts who share similar interests and talents as myself. Most importantly, I got a family who is loving and supportive and accepted me with open arms. The pictures are of the family who were able to make it to my wedding, the quilt I mentioned, and my cousin officiating our wedding. GenePeace specializes in DNA searching for adoptees, those with unknown parentage and others seeking biological family members. We also offer genetic genealogy consultation for those searching on their own.